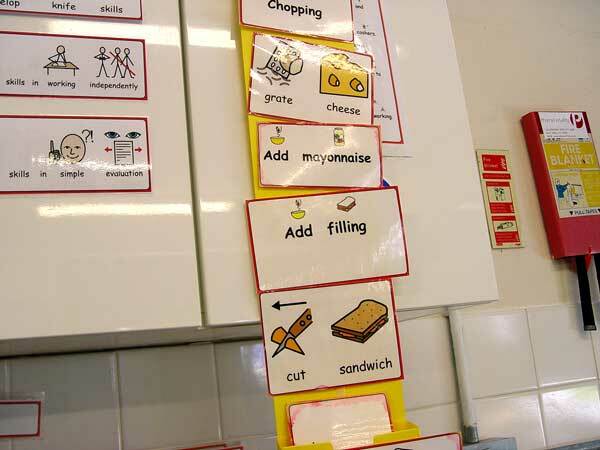 We have been continuing our Food Tech work in Blue Class by following a sequence of instructions to make a healthy sandwich. As well as addressing the healthy lifestyle element of the curriculum, these sessions are also superb in helping the children to understand and carry out instructions in sequence. We always start out lessons by looking at the instructions that we need to successfully to complete the task. Preparation is put in place to make sure that all of the ingredient and kitchen utensils are available. The teaching takes the form of an adult demonstrating one stage at a time the process, and then we offer support for all pupils as they prepare their food. On the menu for this session was a tasty cheese, celery, pepper and mayonnaise sandwich. We had some tricky tasks to carry out, such as the chopping of the vegetables into small pieces. As you can see from the video above, Blue Class had a brilliant food Tech session, with all of the instructions understood and carried out in the correct order.